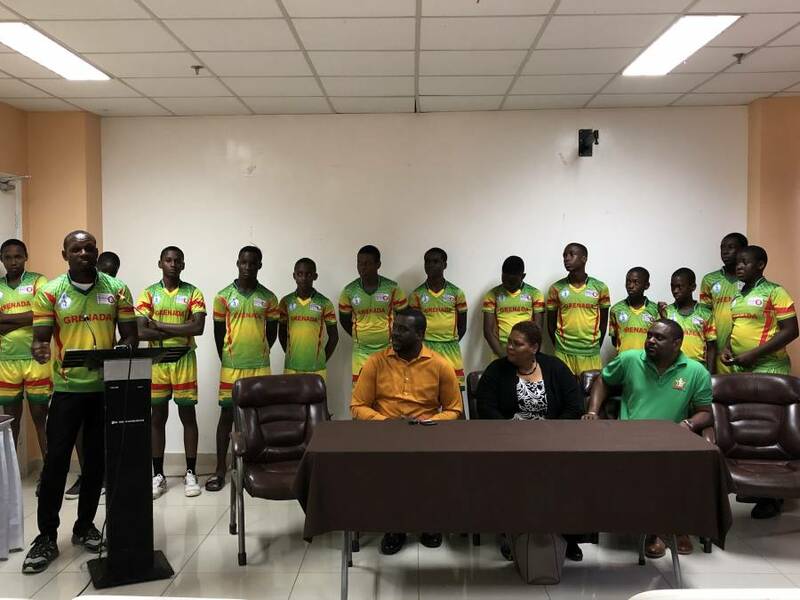 As Grenada prepares to defend its 2017 WINLOTT Inc/Windward Islands Under-15 Tournaments title in St Lucia, on Thursday, former cricketer Prime Minister Dr Keith Mitchell gave the team of young men some words of encouragement. Grenada snatched the title away from 4 times champions St Lucia and is looking forward to repeating last year’s performance. The team is expected to depart on 9 December for St Lucia where they will be playing the host country the next day. The tournament concludes on 18 December and will see Grenada, St Lucia, Dominica and St Vincent playing in a double round-robin format where each team plays the other twice in 50 over matches. 6 players from last year’s tournament have returned to defend their title: Divonie Joseph (Captain), Kervyn Gangadeen, Mahid Lambert, Kellis Andrews, Devin Tyson, and Jerel Jeremiah. Using Dr Mitchell as an example, Sherma Wells, representative of WINLOTT Grenada encouraged the young players to advance in the sport of cricket since this can also assist in shaping their professional life in the process. The tournament is the flagship of a partnership between WINLOTT Inc and WICBC which began in 2015.